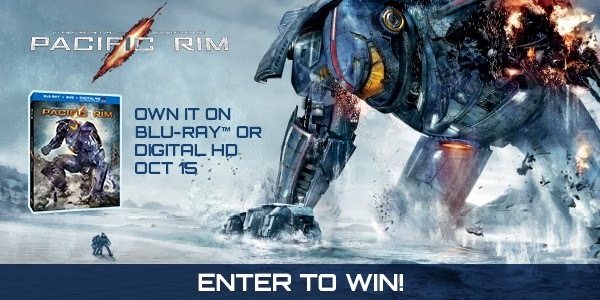 Pacific Rim comes out on Blu-Ray on Oct 15. This is one movie my husband is very excited about. It's sci-fi, action packed with big monsters, a hard hitting music soundtrack, and directed by Guillermo Del Toro. It's sure to be great! 1 reader will win it on Blu-Ray. Just check out the Pacific Rim app below, and fill out the Rafflecopter form below that. It's that easy! disclosure: The prize is provided by the sponsor. I received no compensation. All opinions expressed are my own. I am a fan in trainin. I am told that I am a Fantastic Fan! Uh oh, I'm only a Fan-in-Training! I need to work on that, thanks! I am a Fantastic Fan, only because I've taken this about 100 times! I've never seen the movie. Thank you! Emailed my information.